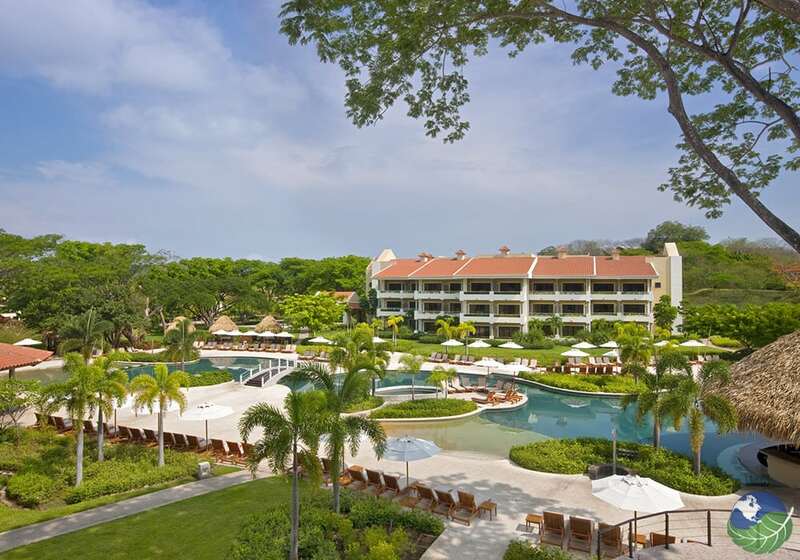 The Westin Playa Conchal Costa Rica is one of the All Inclusive Hotels in Costa Rica. It’s near calm ocean waters and one of the nicest beaches in the country. For business trips or time off with loved ones, this hotel offers their guests ultimate comfort and luxury on a lovely white sand beach. Westin Conchal is a great place for families, adults, hosting business meetings, and even weddings! With a golf course, spa, gym, restaurant, bar, etc. 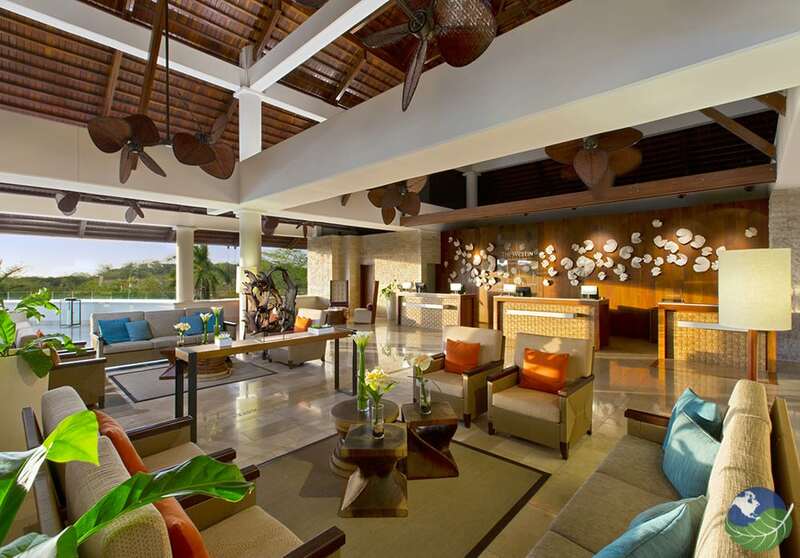 this resort provides a large number of ventures to choose from. This part of the Guanacaste coast is well-known for its pristine sandy beaches. Also, the sunny, dry climate for most of the year and the variety of adventures, activities, and tours available. If you are looking for an all-inclusive vacation on a gorgeous tropical white sand beach, this is the spot! All Inclusive with 10 Gourmet Restaurants! 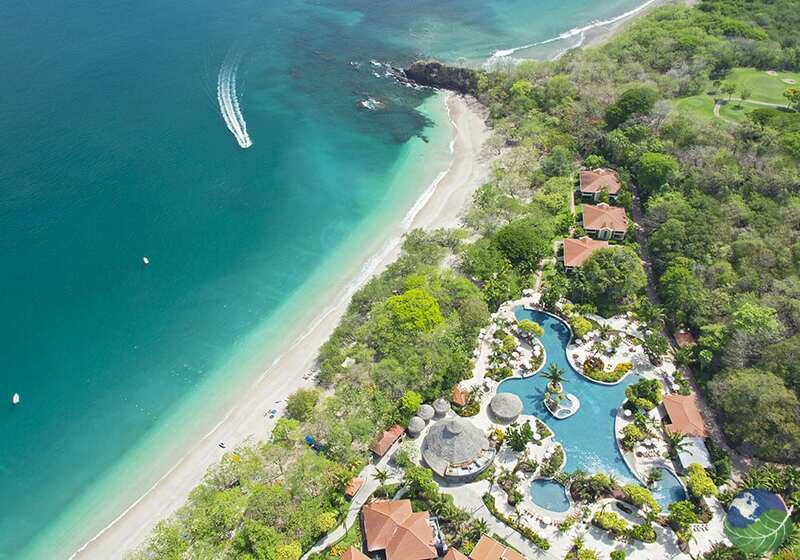 Of all the Beach Resorts in Guanacaste, Costa Rica, the Westin Golf Resort & Spa, Playa Conchal is a true paradise under the sun. Also, with 2400 acres of forests, gardens, golf greens, huge rooms, a lagoon style swimming pool and much more. With ten international cuisine gourmet restaurants, five rocking bars, a discotheque, a world-class spa, attentive concierge service, dedicated tour agents, and conference center for conventions and business confabs. 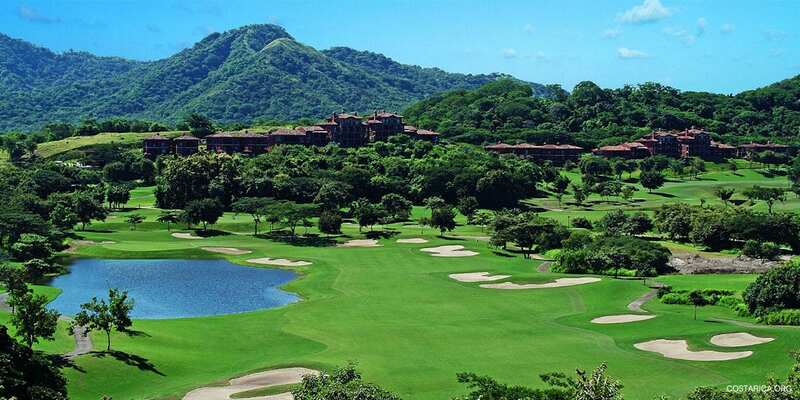 The Westin Playa Conchal Resort in Costa Rica has it all. No other all-inclusive offers as many restaurants and activities as the Westin Golf Resort & Spa, Playa Conchal. Pursue cooking lessons, bird watching or painting and follow up with a swim. Have a fun boat cruise, a deep-sea fishing excursion. Too, even a scuba diving and a snorkeling adventure from a private yacht. The helpful and knowledgeable Westin Playa Conchal Resort staff are happy to arrange any activity available for you and your group. The challenging 18 hole 71-par Golf course is world-class. Also, the professional tennis courts and 24-hour fitness center can be the perfect precursor for a relaxing dip in the huge lagoon-style pool. There is also a lively kid’s camp. Your little ones aged 4-12 years old will enjoy while you pursue adult diversions. The palatial Royal Beach Rooms and Suites are located in the exclusive Adults-Only Royal Beach Area. 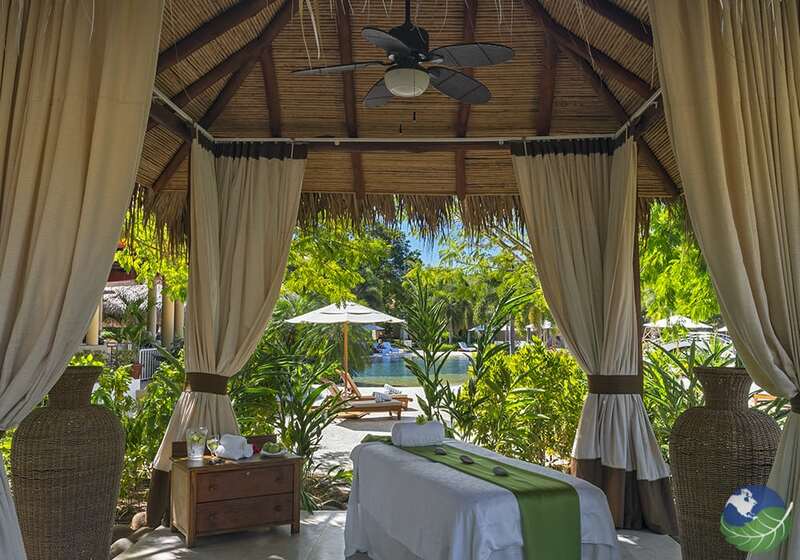 They offer fabulous additional amenities to make this your ultimate dream vacation. For example, access to an elegant air-conditioned club lounge from 7:00 a.m to 10:00 p.m. Also, private check in/out, coffee and beverages, TV room, newspapers, evening cocktails and social sites, welcome tropical fresh fruit display in your room when you arrive, premium liquor service. Including, White Tea by WESTIN Spa Bath toiletries, personal concierge service throughout your stay. Access to a private adults-only Royal Beach pool with Bali beds for rent, pool concierge, and bar service. Exclusive Breakfast and Lunch service at the Royal Beach Club gourmet restaurant Faisanela. And 24-hour room service, daily turn down service, complimentary pressing for up to 2 garments per person. Lastly complimentary internet access at the Lounge and guest rooms. The oceanfront Luxury Villas also enjoy these superior amenities. 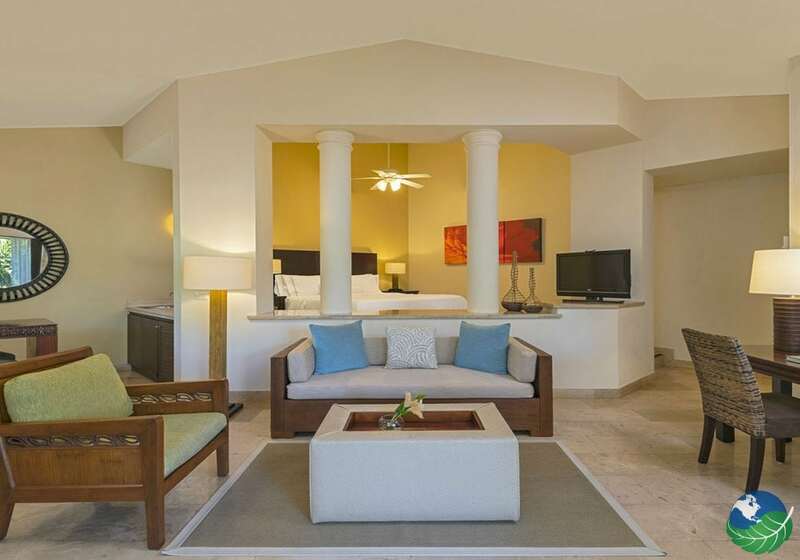 For the ultimate Family vacation, look no further than the exclusive Family Club Junior Suites at Westin Playa Conchal. With special amenities designed for family holidays. For example, private Family Club check in/out, Westin Kids Beach-kit with logo hat, a water bottle, mini backpack and rubber wristband. Also, White Tea by WESTIN Spa Bath toiletries, 24-hour Family concierge service throughout your stay, family activities and sports, mini bar stocked for kids and adults, play Station, Wii or X-box on request, children’s bathrobes, slippers, toiletries, beach towels and pillows, adult bathrobe and slippers, 24-hour room service, , complimentary internet access at the Lounge and guest rooms. Experience ultimate luxury in an exclusive sanctuary of sophisticated elegance for the family vacation of a lifetime. 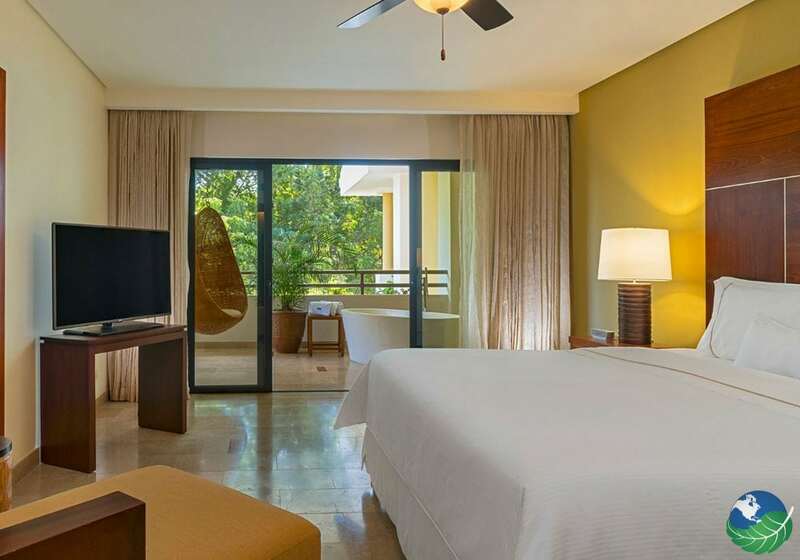 To make your Costa Rica all inclusive honeymoon experience extraordinary, there’s Westin Playa Conchal Resort at Conchal Beach. Conchal is by far the most beautiful beach in the area if you seek calm, clear water and soft white sand cooled by the shade of seaside trees that are also home to monkeys and birds. Besides its perfect location, Westin Playa Conchal is highlighted by the enormous amounts of activities offered, their genuine hospitality and fantastic food. Speaking of which, there are many restaurants to choose from here for your all-inclusive Costa Rica honeymoon. Some of their culinary activities include those for coffee lovers, making sushi and wine tasting. To counter the danger of putting on some weight during your Costa Rican honeymoon, this all-inclusive has everything thought out with a list of leisure activities to keep you busy. Explore Playa Conchal in style by visiting this resort and letting yourself fall in love with this true paradise. It is given this name for the vast amount of shells spread out over the shore’s eastern corner. The water here is warm. Also, if you look down while you’re standing on the soft ocean floor, you will notice small iridescent fish dashing through your legs. The stretch of beach away from the resort has lovely soft white sands and shaded areas. All under majestic palm trees to dry off after a swim in the sea. The Westin Play Conchal will provide you with memories of pleasure and comfort that will last a lifetime. Matapalo. Favorite. All Inclusive, Luxury, Beachfront, Best Spa, Pool, Jacuzzi, Restaurant, Casino, Shop, Tennis, Golf. TV, Phone, Safe Box, Private Jacuzzi, Hair Dryer. Babysitting Service, Room Service. Bahia Salinas. Favorite. All Inclusive, Best Spa, Pool, Jacuzzi, Sauna, Fitness Room / Gym, Restaurant, Bar / Lounge, Golf. Safe Box. Babysitting Service, Laundry Service, Room Service. Enjoy fantastic Cusine at any of the Westin Play Conchal Restaurants. They offer many different cuisine styles, such as Mexican, Asian fusion, Continental buffet, and Italian just to name a few.